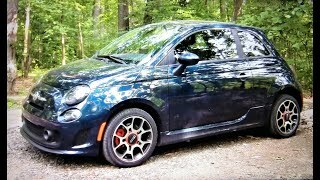 The Fiat 500 is a pretty good and beloved little car but the one thing that it was missing in order to be a great small city car was a boost in power. 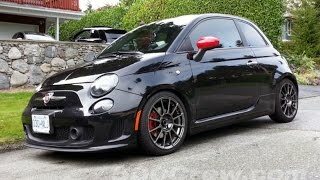 Of course the 500 has been taken under its wing by Abarth and it was given more power but the price went up and Abarth's styling might not be everyone's cup of tea. 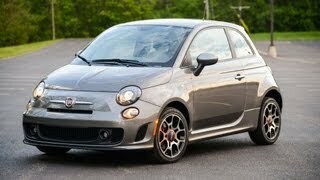 Fortunately things are about to change because the Fiat 500 Turbo 2013 draws near. The 500 Turbo has been announced by the Italian manufacturer quite recently, during the Concorso Italiano in Monterrey California. 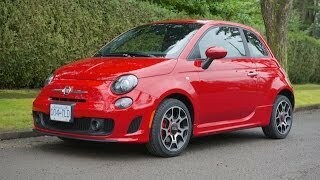 On short, the Turbo will actually fill the gap between the standard model and the beefed up Abarth, but it will do so whilst retaining the original character of the Fiat 500. The upcoming model is motivated by a 1.4 liter MultiAir engine that will now be able to produce 135 horsepower and 150 lb-ft of torque, thanks to the addition of a much needed turbo. The increase in power from the standard 101 horsepower and 98 lb-ft of torque is not that extreme when you look at the sheer numbers, but it's almost 50% more than what the standard model offers and it's more than enough to make the small 500 much livelier. In terms of design the new Turbo model has received a new front fascia that can accommodate the new engine, a new pair of side skirts, a black-accented rear diffuser, a rear spoiler mounted on the litigate as well as a new set of 16 inch aluminum wheels, a sport-tuned suspension and the high-performance brake system. On the interior the new model has received a new set of sportier seats and a few extra touches such as the leather-wrapped shift knob and steering wheel. Optionally the buyer can opt in for heated leather seats and a Beats by Dr. Dre audio system featuring six speakers. The price of the upcoming Turbo model is –as expected- tailored to fit between the price of the standard model and the Abarth. 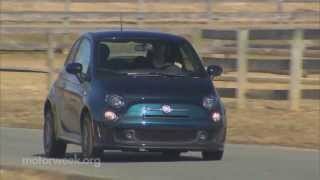 Nevertheless, with a price tag of $20,200 including the $700 destination charge the new Fiat 500 is still roughly the same as the Mini Cooper, but still about $4,200 more affordable than the Cooper S.
The new Fiat 500 Turbo 2013 is expected to hit the market sometime later this year, during fall.